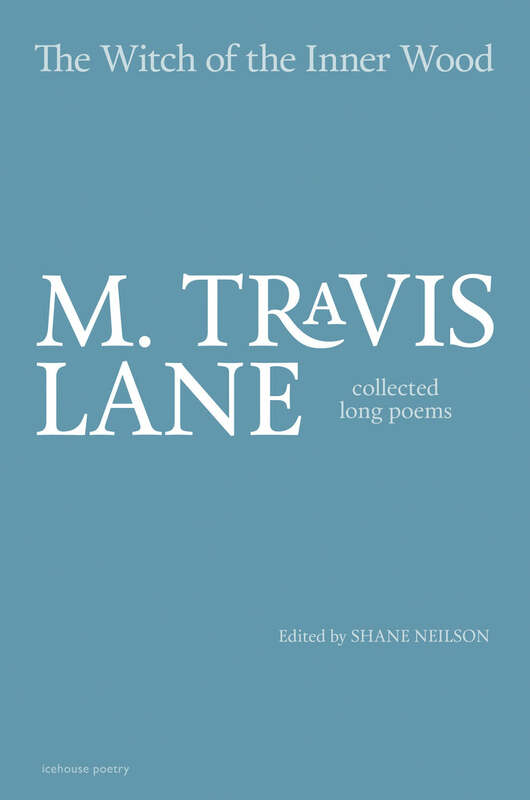 To do justice to this 377-page collection of M. Travis Lane’s long poems would take a PhD thesis. As simply a poet, not an academic, to attempt such deserved literary analysis of a multiple prize winning and accomplished poet and critic is beyond me. Rather, I asked for the opportunity to review The Witch of the Inner Wood for two reasons: to read more of M. Travis Lane’s exquisite poetry, and to better understand the possible ways to structure a lengthy work. How long is a “long poem”? In her Afterword: On the Long Poem, Lane replies, “a poem which takes at least five minutes to read out loud,” and many of her poems extend well beyond that time, some reaching 30 pages and more. She also states, “I have written as many different kinds of long poems as I can”—and it is a remarkable variety indeed—“but there are some kinds I don’t: poems that rely heavily on repetition, echo, rhyme, and circularity.” Then how are her long poems structured, I wondered, to make them so dissimilar from each other. In some instances, the structure is readily apparent. “Bushed, a pastoral” is laid out on the page as a play in free verse, complete with stage directions and parts for eight characters. “Six Poems Looking at a Sculpture by Ülker Özerdem (‘An Arch in Ruins Contemplating Completion’)” is just that: a sextet of responses that vary from the physically descriptive through the introspective. “In a Glass House” reinterprets the fairy tale of Snow White and the Seven Dwarfs. The poem “Divinations” is considerably longer. Written as not one, but three “Books” it is built on comparison and contrast. In “Book One: Nothing”, a severely depressed 1950s teenager catalogues her Catskills surrounding with unparalleled grimness. Her farm home is “the backside of the universe”. In her bedroom “the cold air stinks / of something grey, untouchable”. The adjacent lands are “moth-riddled orchards, hobbled farms”. The schoolyard offers only repeated cruelties, and the nearby village, aptly named Sundown, houses a single store with its “cold maw of the cellar”. It’s no wonder the girl laments, “I’ve got to get out of here / my god but I don’t know where to go.” Even “Sleep is the final end of things / but here is a kind of rot.” She attempts to flee, but gets off the bus at another tellingly named village, Red Hook, and returns home to “nothing, nothing, nothing”, where she finally drowns herself. Moving up from outright despair to frustrated hopes, in “Book Two: Red Earth” a nurse recounts her experience in Northern New Brunswick with her anthropologist husband. Both want to “help” the “Indians” who are living in what they view as dire material and cultural poverty. The nurse would use her medical skills and “Big Mama” outreach of friendship, while her husband tries to instill pride in tribal history and traditions, “telling an Indian / how to be authentically Indian”. However, their triadic interrelationship is based on three dissimilar attitudes to living that are never resolved. Like the depressed teenager, the nurse feels locked inside her own reality, “I can’t get out”. When she finally resigns herself to the fact “Where I am no use I must let go,” she turns to the solace of solitude and nature, and only dreams her escape, though wounded, “not far”. Pearl is the remarkable speaker in “Book Three: The Book of the Thrones”. Described in Part One as “a dwarf” by her sister Ruby, she survives by “A kind of mercy—this empty world / I scour, I mend, I clean.” Although she is physically small, “Daddy used to say. / Not beautiful, / oyster not pearl”, unlike the other two women, she is undaunted by hardship: “Darkness is only parable”. Instead, she expresses her faith in the divine by constructing bizarre angelic “Thrones” from cardboard, furniture bits, wire, chains, foil, and other oddments, housed in a garage “museum”. She also composes obscure poems of religious celebration, with exclamations of “REJOICE”, “GLORY”, “PRAISE”, even “THE BATHROOMS ARE A PLACE OF PRAYER”. As her narrative advances in sections, from Morning, Noon, Evening, to Night, reminiscent of canonical hours, she is not dwarfed in spirit, but through her religious creations, transcends her limitations. Of the three women, Pearl is the strongest and happiest survivor. In other poems, the overall structure is less obvious at first glance. In “Life Insurance”, a young woman, hospitalized after surviving a plane crash, dreams backward and forward through time. “Local Suite” is geographic, a hub of descriptions of different places within one locale near Fredericton, New Brunswick. “Fall-Winter 1990-1991” is an extended lament—“Nothing is all that simple. / Nothing is all that straight.”—for those who died in the senseless evil of war. In “Hills”, Lane’s method is cartological: to “map the past with images”, focusing on her grandmother’s cabin and landscape: “the imaginable warmth / of what is there”. One of the shorter long poems, “Dear Tiger” is photographic, built on three talking pictures of young women whose lives were cut short: a five-year-old girl dies of a fever, dreaming herself in the beautiful fountain in a park where her father’s friend had painted her; a woman married very young dies in childbirth, leaving her unsigned album of handmade valentines and pictures to unknown descendants; and on her way to pick berries for her father, a brigadier’s daughter slips off the porch and expires face down in the gravel remembering her dear, mauled-to-death cat Tiger. Lane does have a sense of humour, however, as shown in “The View from under the Bookcase”. Especially interesting is how she subverts its structure as an ostensible fable to poke fun at Canadian literary politics. The poem’s first of four parts opens with the search for a “laureate” as successor to the throne after “The king of poetry has died.” The events are narrated by the “most long-toothed of all the rats” who, in inverse fairy tale fashion, is magically transformed until midnight into a woman. Lane delights in satiric wordplay, describing the assembled contenders from the rural “veritimes” as “transformed by grant-ma’s magic wand”, “disguised so donkeys look like dons”. and snips up even tinier. till I am out of patience with my loss. Startling anachronistic details from across the centuries appear: “the cellar heaped like Noah’s ark”, “we are like Iroquois”, “moose come down to the back gate”, further blurring the original tale’s time and geography. No longer just the unhappy individual, Penelope becomes a much larger figure, an archetype of seamen’s enduring wives. By the final stanza of the poem, Lane has turned our original structural expectations completely on their head, and the dedication of the poem to Neptune becomes clear. The homecoming of the title is not Odysseus’s, but Penelope’s, to herself and “my husband, true husband, the salt sea”. I am the witch of the inner wood. I own this. I created it. Like all poets, the witch must cope with failing to achieve perfection. Indeed, she laments, “It never has come back to me, / that finest bird I ever wrote”, and “It keeps going wrong.” How postmodern, this self-reflexive musing on the struggle to write the very poems the poet is in. As well, Lane’s stanzas flower not only visually, but aloud. Their quiet rhythm bobs, drifts, eddies, and swirls to the tempo of enjambing line breaks and the music of assonance and alliteration. She has said, “Poetry is like dancing.” The sound is very important to her and she revises a great deal to get it right. It is not surprising then that “The Witch of the Inner Wood” has been set to music by Brenda Muller and performed several times by the classical trio Ardeleana. And although Lane insists in her Afterward, “Rhyme and echoes give a sense of ‘finish’ which I rarely want,” there are both aplenty here, not as clanging end rhymes, but with the subtlety and grace of multi-syllable and near rhymes. Even the thought within the stanzas advances with a loose logic of its own, bouncing off a word or image to give birth to an elaboration or variation in a subsequent part, what in his Introduction, Shane Neilson terms Lane’s “lyric persistence”. For example, the light imagery of a “pallid sun” transitions into a new part with a fire in the cave, and from its inhabitants on into parts about felons and friends, then from the husband image of rock turns 180 degrees to the contrast of shredding compost, and so on. As the witch exclaims, “My garden runs ahead of me / as if it were a child”, and the witch’s task is to take its “rich chaos, barren chemistry” and “straighten / circle / centre it”—a vivid description of the right-brain freely associating, to envision what afterward is trimmed and focused by the editorial left-brain. Lane’s dancing lines embody the very poetic process they describe. Of course, a review should offer some evaluation of a book. Obviously mine is immensely positive. Lane’s imagination, precision, and control of sound and image are as astonishing to me as the rich diversity of her subjects. The structural virtuosity of her long poems is equally impressive, ranging from a pastoral, sextet, trilogy, and fairy tale, through flash back and forward, geography, lament, image maps, talking photographs, and satire, to the seasons and dance. This is a book to luxuriate in, and I most certainly have. Susan Ioannou is the author of the handbook A Magical Clockwork: The Art of Writing the Poem (Wordwrights Canada). Her most recent of several poetry collections is Looking for Light (Hidden Brook Press).